The Rewilding Project is a movement that supports and inspires the modern outdoorswoman. A unique way of experiencing the outdoors, vital for women's physical health, fitness and wellbeing. We are the bridge from your urban and virtual worlds into nature. The Rewilding Project aims to provide you with skills that are crucial for surviving in the three worlds we inhabit. Here you will connect with a collective of women who believe in a more sustainable connection to self, community and the environment. Sarah is an outdoor education teacher and is dedicated to adventure with a love for wild places. She has a deep-rooted urge to protect these places through the promotion of wellness through exploration. She hopes to inspire an appreciation for nature by emphasizing its importance in shaping one into a kick*ss individual. Sami has been in the field of outdoor education and recreation since 2008. She hails from the deep south of New Zealand and holds internationally recognised qualifications in both New Zealand and Australia. Aa a teenager Sami realised that the outdoors was where she belonged, so she began exploring her local areas. By the age of 18 she had completed multi-day sea kayaking, white water kayaking, climbing, caving and hiking trips (the longest being 14 days straight!) throughout the South Island. 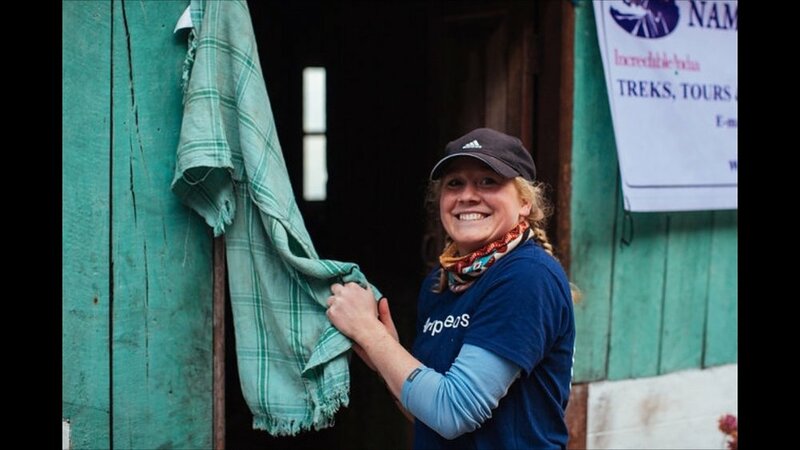 She has led student adventure travel trips through India, Australia, and New Zealand, and has led multi-day trips to a variety of remote locations within these regions. Currently studying psychology, Sami plans to branch out into the Adventure Based Therapy world upon graduation. She is highly passionate about outdoor pursuits and adventure therapy. She recognises the importance of experiencing the therapeutic benefits that our environments can provide. Are you a brand looking to get involved? The Rewilding Project is currently looking to work with selected sponsors who align with our vision. Are you an adventure seeking woman or do you want to follow along? If you want to be updated on this project and its programing please sign up to our mailing list below.